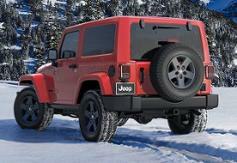 Are you searching for Jeep Cars in your region? If you are currently looking for quality new or used Jeep cars near your region then you should contact or visit one of our Motorparks Jeep Dealers. At Motorparks Jeep we are extremely proud Jeep enthusiasts and should be your first point of contact for all new, used and aftersales Jeep services. Motorparks Jeep aim to provide the best customer experience for the best value for money for all our valued customers searching for new or used Abarth cars near your region.